Hordern and Company is an AUSTRALIAN family owned business that specialises in the supply of premium quality hand tools, lubrication equipment, abrasives and power tool accessories to the hardware, electrical and industrial supply markets in Australia. We are a leading distributor of the highest quality professional products in Australia and are a trusted partner of the worlds best brands. From its inception, the company has extended and refined its range into a selective portfolio of hand tools, lubrication equipment, power tool accessories and abrasives. The business continues to grow and develop however the same principles of providing the Australian building and industrial industries with the very best of products the world has to offer and delivering the best service still apply today. We represent a select group of leading manufacturers and our relationship with our manufacturers is fundamental to the success of our business. We have been representing a number of our manufacturers for many years. For example in 2006 Hordern and Company has celebrated 50 years of representing Stabila in Australia. 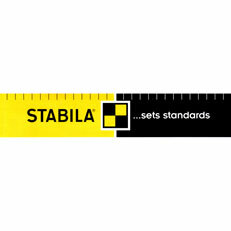 During this time we have successfully developed the Stabila spirit level range to be the market leading professional brand in Australia. In addition, the company has developed other leading brands in Australia including Bessey, Erdi, Pressol, Rhodius, Felo, Kakuta and Setter.